A little over a year ago, Kilcummin were in a very different spot. They had been relegated from the Kerry SFC in 2017 and found themselves without a manager in January with the first game of the intermediate championship three months away. Fast forward 13 months and the mood around the club has utterly changed. Part of that switch has been a run to the AIB All-Ireland Club Intermediate Championship final. This weekend, at Croke Park, Kilcummin face Belfast side Naomh Eanna in the decider. "After we lost to [Kerins O'] Rahilly’s to get relegated, the morale around the club was brutal," says Sean O'Leary. Players were considering just packing it all in like; we had no manager, we hadn’t seen a few players in a long time. A few players went back training in January last year, about 10 or 11 players and they started themselves. Then lads that had won minor county championships came back into it. Then we got Willie Maher - he’s a real club stalwart; he’s been in Kilcummin for the last 20 years and he’s trained loads of teams and every one of us has huge respect for him. He came in around February and it just went up and up. Everyone outside the club looking in thought we were goosed and could be looking at going down to junior, but we knew ourselves we were on form and we went into the intermediate in April absolutely flying. Kilcummin came through a tough Kerry Intermediate Championship, one where they were 11/1 underdogs in the semi-final against Templenoe. "They had something like four or five Kerry panellists," says O'Leary, himself a 2017 All-Ireland minor winner with Kerry. "We were going into that game as massive outsiders like but we came out of it with a one-point win again. It’s been that thing, even if we’re down by two or three points with five minutes to go, we just keep on grinding it out. "We played Glenflesk in the county final, we were down by one point at one stage in that too but we didn’t panic. We’ve a lot of experienced lads in the team and that’s been huge for us so far this year, lads that have been there around the block." They handily beat Fermoy in the Munster final back in November before overcoming Leinster champions Two Mile House by a single point in last month's All-Ireland semi-final. Among the Kilcummin squad is former Kerry goalkeeper Brendan Kealy. An All-Star in 2015, Kealy has plenty of big matchday experience behind him. "Do you know, being up here in Croke Park, looking out at that pitch, it just gets the emotions going again; you just can’t wait to get out there. "You could play in that pitch 100 times but it wouldn’t make a blind bit of difference, it’s unreal, you’re just buzzing. I’ve played there before with Kerry but it’s unreal to get there with the club: family, friends, lads you grew up with. "Brendan Kealy, I was talking to him last week and he remembers the All-Ireland loss to Dublin in 2011. It was his darkest memory, you don’t want that. It’s the same for Naomh Eanna, every team wants to come down to win. "Jesus, it’s some quick turnaround: we’ve senior club championship in April. If you come last in your group there - and that’s so competitive - then you’re just facing relegation again but look, all the focus is on this All-Ireland, that’s the big one now." 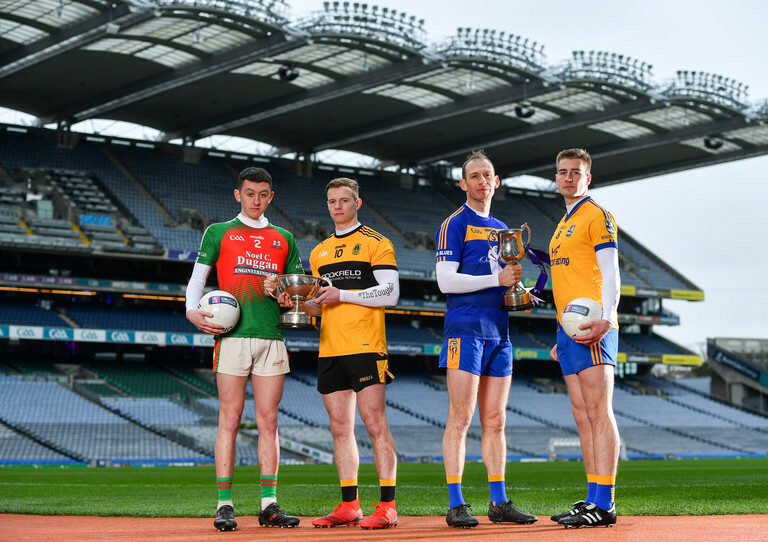 How Do Elite Inter-County Players Slip Through The Net At Minor Level?